Marshawn Lynch has teased his possible retirement for a few seasons now. After last year, he was reportedly considering retiring, but then he changed his mind and signed a two-year deal. Now, he’s apparently told people he’s retiring, per Adam Schefter. Lynch had a weird year for the Seahawks. He was hurt for a good chunk of it, during which the team played its best football. There were some strange reports coming out of Seattle before their game against the Vikings about how injured he actually was, and he never made the trip to Minnesota. 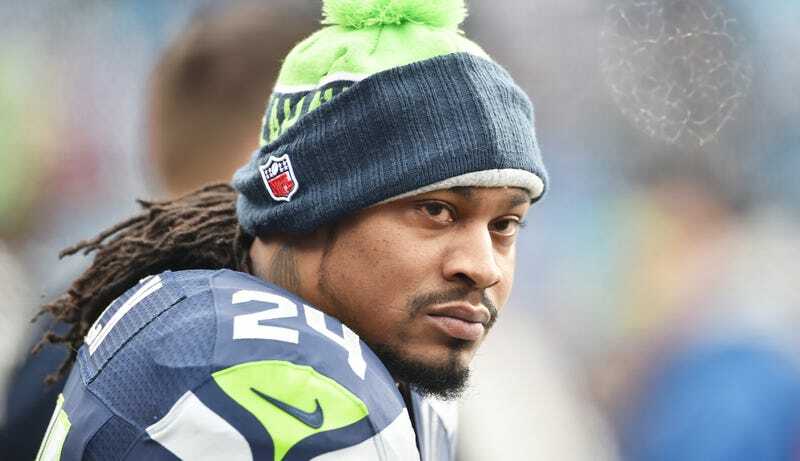 Lynch is 29, and has reportedly saved his money very well, so it’s not like he needs to keep playing football. If this goes through, Lynch will join Calvin Johnson in retiring this offseason.